👋 Welcome to App Center. Connect your repo, build your app. It’s that simple. 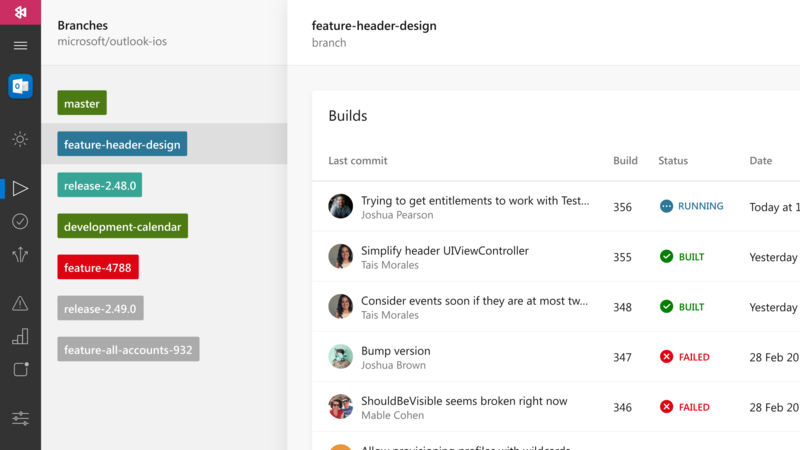 Connect to GitHub, Bitbucket, or Azure DevOps and build your app in the cloud on every commit. Automatically run unit tests, release to testers and stores, or test your UI on real devices. Connect your repo and pick a branch. 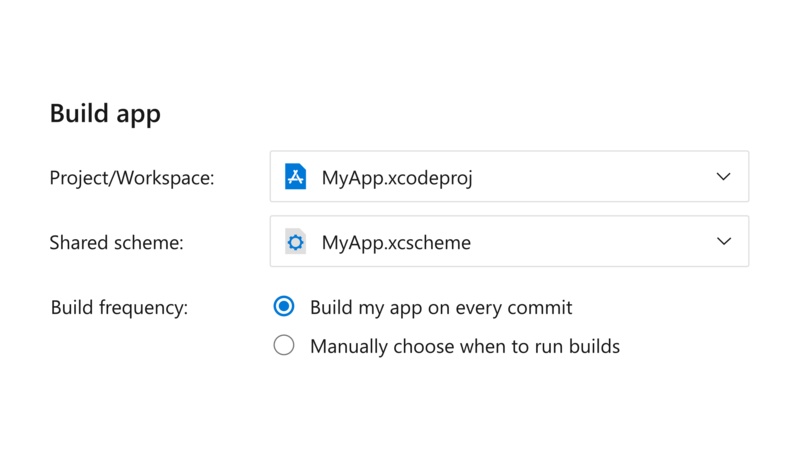 App Center analyzes your code to suggest a build configuration. iOS or Android? You bet! React Native? No sweat! Windows? Certainly. Commit to a feature branch to build and test. Commit to a beta branch to distribute to testers. Commit to master to submit to the App Store. Customize to fit your team’s workflow. Find bugs on any device before release. Does your app still work after your latest change? How does it perform on an LG G2? Find out by testing your app in a hosted device lab with 1000s of real iOS and Android devices. You’ll receive test results, full-resolution screenshots of every step, along with performance metrics. Test every step of every feature. On every device. On every commit. Welcome to the future of app testing. Ship fixes and enhancements as fast as you build them. Whether you prefer private distribution, public open betas, Microsoft Intune, TestFlight, Google Play, or the App Store, App Center makes releasing your app a delight. Specify a group of testers or create an open beta recruitment page. Connect that group to a branch to automatically send updates whenever code is merged. Once you’ve beta tested a release candidate, promote the same build directly to Intune, Google Play, or App Store Connect. 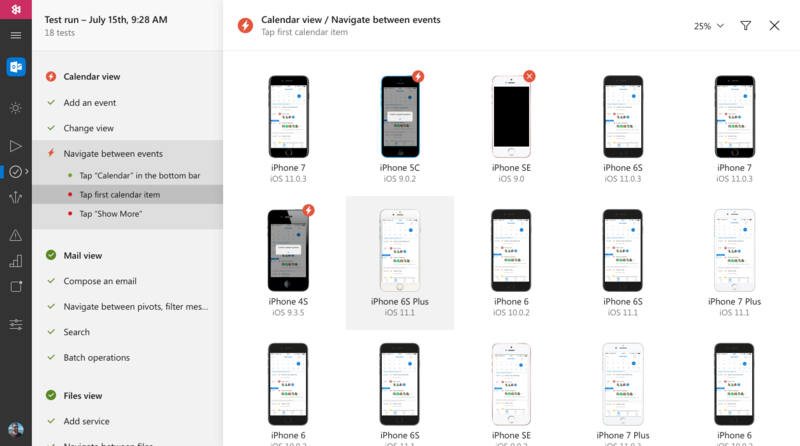 App Center tracks your builds through every release. almost want your app to crash. 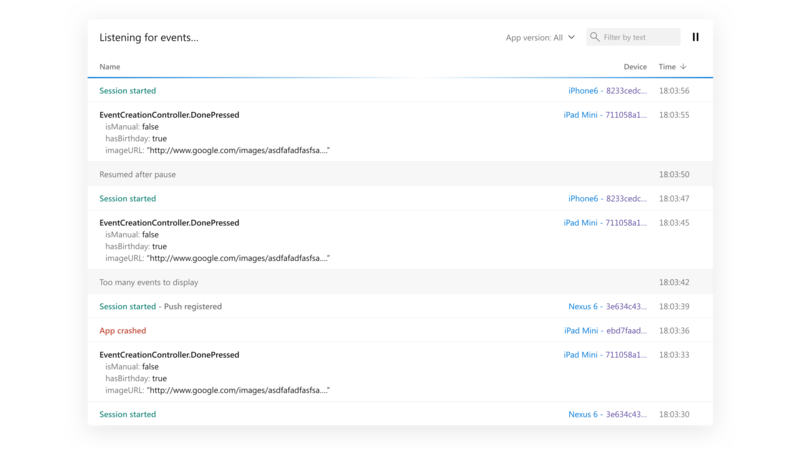 Integrate the App Center SDK for automatic crash reporting. 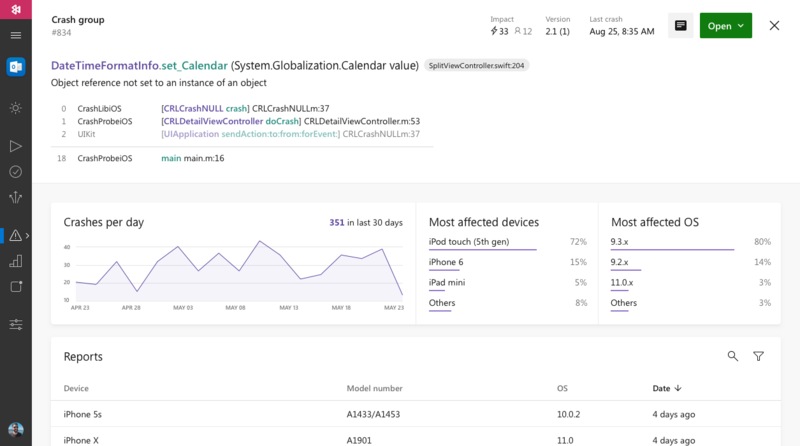 Build your app in App Center, and get automatic symbol management for richer reports. line number. Search specific users' crashes and browse individual reports for event breadcrumbs and custom data attachments. App analytics, made for developers. 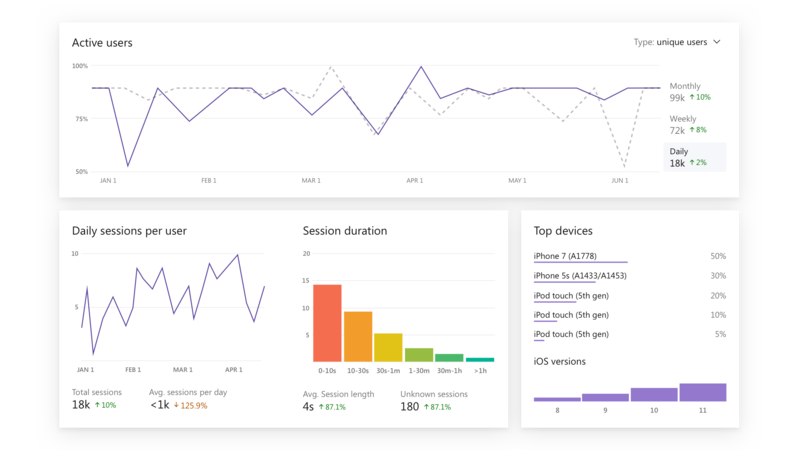 Developer-friendly analytics make it easy to discover how to improve your apps. See streaming activity for sessions and events immediately, and collect metrics that become more useful over time. Is your audience growing? What devices and operating systems are most common? What features are popular? Get straightforward answers to the questions you care about. Engage users tastefully with App Center Push. Optimize your app’s user experience with timely push notifications and data updates. Create a new push notification, give it a title, message, and target audience, and you’ll be engaging users in no time. These companies already use App Center. You’ll go a long way, for free. Pay as your app grows. Ship your app faster with multiple builds running in parallel. Run UI test on thousands of real devices and hundreds of configurations.